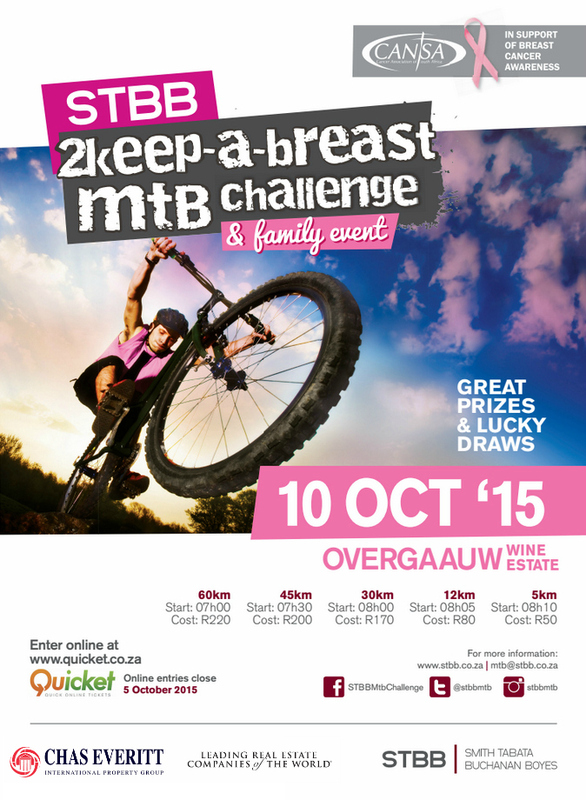 STBB 2-Keep-a-Breast MTB Challenge will be taking place on 10 October 2015 at Overgaauw Wine Estate in Stellenbosch. The main aim of this event is to raise awareness about breast cancer and all proceeds go to their beneficiary: CANSA. Chas Everitt Western Cape is delighted to be one of the sponsors of this event. In just 5 years the event has grown in stature to such an extent that it is now considered to be one of the prestige events on the annual MTB calendar, with around 1500 cyclists across all age groups expected to participate in this year’s ride.